Born in Ruichang, a small village in Jiangxi, he could go to university, but his father, a pharmacist, preferred to have him join the Police Academy. He spent there three years and five years in office. He got bored, there is little to do even if he recognizes that crime and police, give a good understanding of human nature. He resigned in 2002 at 26 years to the despair of his parents. 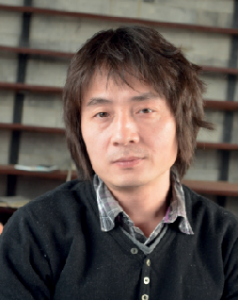 He worked for various magazines including Chutzpah then as editor for Xiaron Publishing Company, a private company. A teenager isolated, uncommunicative, lives with his aunt who constantly belittles and despises his deceased father and his mother who thinks only of making money. He is preparing a murder … out of boredom and finally decides that the victim will be the only school friend, Kong Jie, who shows him some sympathy. He kills her with 37 stab wounds and brings up her upper body in a washing machine! It is only when he is caught by the police that the book gets interesting; it now has flesh and lists the critical portraits of police, prosecutors, judges, journalists, lawyers, other prisoners … The author comes back repeatedly to his father who died of cancer and to his memories; with a living father, things might have been different. The tone is dark, the author says himself that he has not a happy nature. It is a gloomy portrait of contemporary China that also avoids addressing the political aspects. That is a clear statement and he refuses to comment on this topic or on censorship. He does not believe in the responsibility of intellectuals who are easily manipulated. They must go beyond the reality and why not create worlds that do not exist. 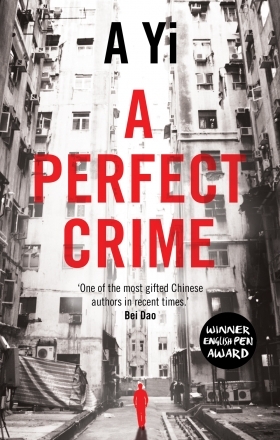 A Yi, “A perfect crime”, translated by Anna Holmwood; Oneworld Publications, 2015; 210 pages.